You’re sitting in a new restaurant. You skim the menu and come to the realization that you are limited to about three options – two of which are salads. Before you can eat you have to quiz the waitress on each ingredient in each dish and how it’s all prepared. From when you finally place your order until you are finished the last bite of your meal, you are faced with a nagging question in the back of your mind: is this going to make me sick? Every time someone with celiac disease or gluten intolerance chooses to eat something that they haven’t prepared themselves, they are faced with the dilemma of risking their health or going hungry. But a San Francisco company hopes to change that. 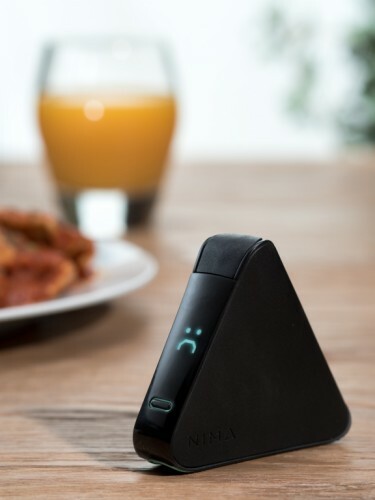 6Sensor Labs has created a new device, called Nima, that it claims can test small samples of food for the presence of gluten, all in the palm of your hand. Celiac disease is an autoimmune disorder whose sufferers are unable to digest gluten, a protein found in wheat, rye, and barley. When celiacs eat food that contains gluten, the lining of their small intestine becomes inflamed. Symptoms can include abdominal pain, bloating, anemia, nerve damage and unusual menstrual cycles in women. According to the Canadian Digestive Health Foundation more than 330,000 Canadians suffer from celiac disease, and two thirds of them are undiagnosed. To use the Nima sensor, you put a small food sample in what Yates describes as a “mini lab kit” – a disposable capsule that uses a chemistry-based sensing technology to detect the gluten protein. The capsule is then placed into the Nima itself, and in two minutes it will either display a smiling face (no gluten) or a frowning face (gluten is present). Nima detects gluten in amounts higher than 20 parts per million – the Health Canada standard for something to be considered gluten free. Currently Nima only tests for gluten, but 6Sensor labs plans to one day have it check for the presence of other common allergens, such as milk, shellfish, and peanuts. GlutenTox is a similar product but it takes around 20 minutes to produce results, and resembles a small lab kit, making it cumbersome for use outside the home. It can test for gluten down to five ppm, though. 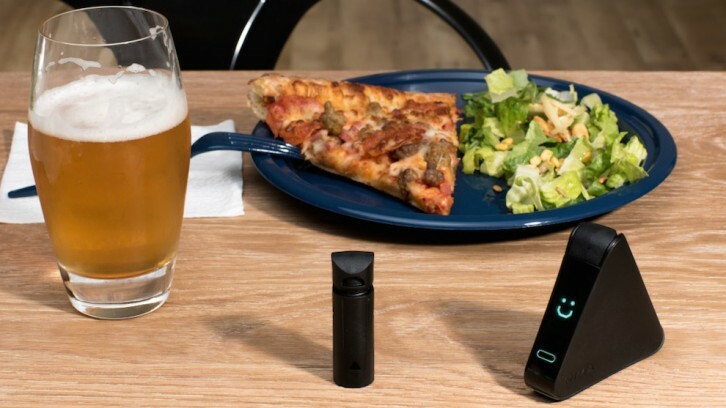 EZGluten can test for gluten as low as 10 parts per million, but requires users to break up their own food prior to testing. Its disposable tests cost twice as much as Nima’s single-use capsules. Yates says she and 6Sensor co-founder and CTO Scott Sundvor have spent the past two years developing the technology and the chemistry for Nima. However, they haven’t released their third-party validation data or any of their studies and say they won’t until they begin to ship Nimas out. Nima will be available for a limited pre-sale starting Oct. 20 at a price of $179.99. After that the price will climb to $249. 12-pack refills of disposable capsules are available for $59.95. Devices begin shipping mid-2016. Correction: Oct. 15, 2015: An earlier version of this story misstated that one third of Canadians with celiac disease are undiagnosed; the correct number is two thirds. A source in the story says that electrophoresis takes two hours to produce a result, not two minutes as previously stated.